A few weeks ago I received an email from a student at Texas A&M University (Christian) who wanted to get involved with Hope Story. He had volunteered at a summer camp this past summer where we met and became best friends with John, a 24 year old with Down syndrome. We had breakfast this past Friday, and I was encouraged to hear him talk about his friendship with John, and his heart of people with special needs. 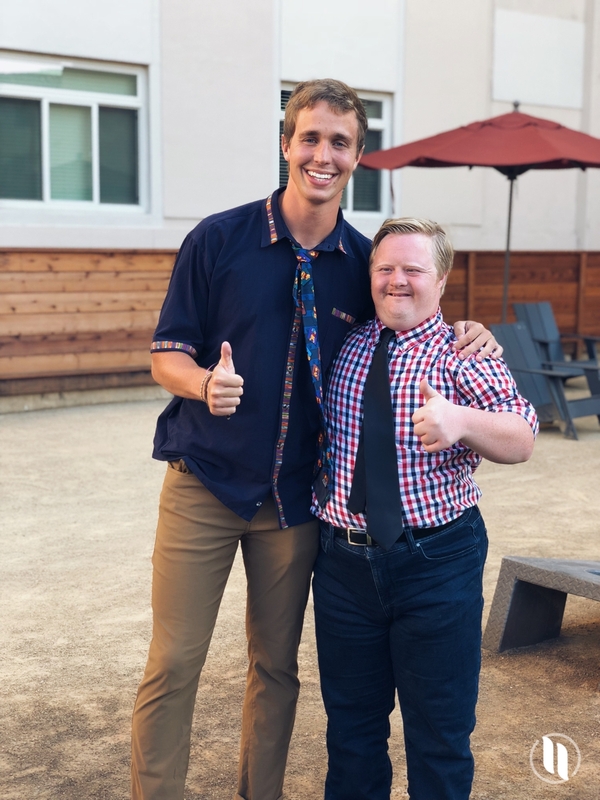 He wanted to share his story about his friendship with John on our blog as a way to hopefully encourage parents whose child has received a Down syndrome diagnosis. As single, young man, with no children, who has just found a friend, I think his story is a hopeful one. John emailed me his story today, and I cried as a I read it. As the father of a seven year old with Down syndrome I want my son (and every person with Down syndrome) to have friendships with people like Christian all throughout his life. I hope this story encourages you as much as it did me. I bet Christian’s parents are proud of him, I know I am. By the way, you may recognize John from a recent CNN video. admired them for their ability to successfully achieve a task. As I’ve grown older, this understanding of what it means to be a hero has changed. While achievements are not inherently bad, I have found certain characteristics to be more noble. Traits like putting others before yourself, facing seemingly insurmountable obstacles with courage, and living with overwhelming authenticity. In today’s culture, these characteristics seem increasingly harder to find. However, towards the end of my summer, I met someone who embodied these things, and I mean it when I say he is one of my life’s heroes. His name is John Kellis, he has down syndrome, and if you are ever lucky enough to meet him, you will come away a changed person. John is 24 years old, and he is one of my best friends. 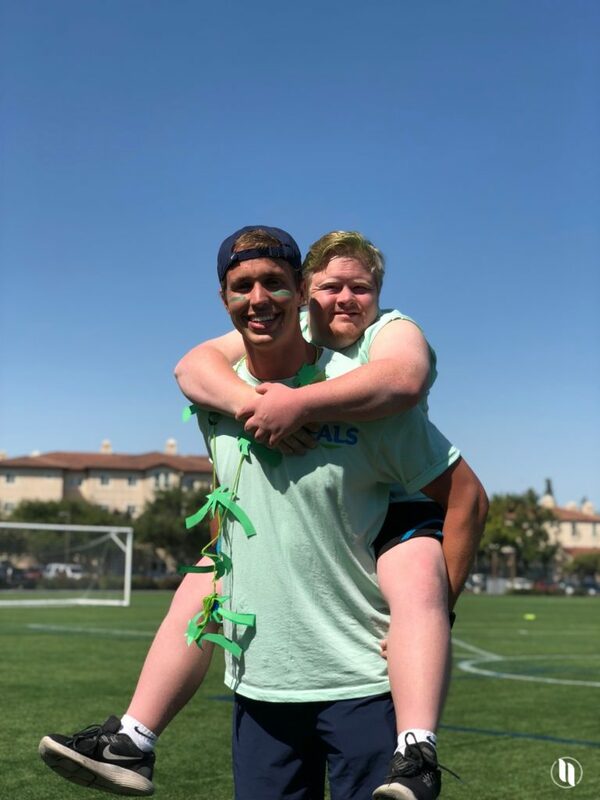 We met this past Summer at Camp PALs San Francisco, a camp for young adults with down syndrome. From the moment John barged into the dorm and asked for some of my salami, I knew we were going to be friends. We bonded over our shared love for movies and video games. 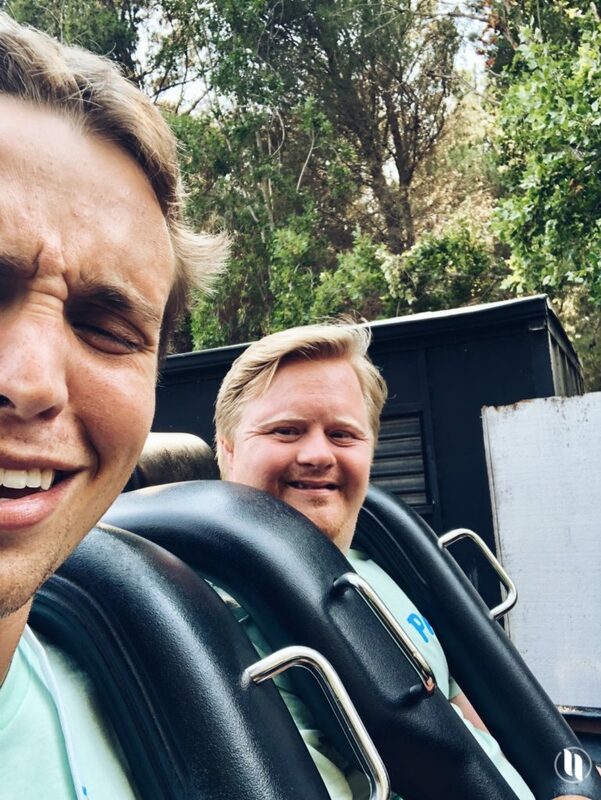 We rode roller coasters, visited Pier 39, the Santa Cruz boardwalk, and much more. We spent our nights hanging out with friends, playing pool, telling stories, and laughing for hours. I quickly learned that John is also the life of the party. He steals the show on the dance floor, puts on a concert-like performance in karaoke, and he can make any crowd laugh with his immaculate movie impersonations. When the parties were over we talked about our career aspirations and what we wanted to do in life. John wants to be a professional movie critic, and I believe in him. He hasn’t let anything get in his way yet, and I am confident he will persist over any challenges he will face as he chases his dream. and I was going through a difficult circumstance, and I asked John for some advice. In the most John fashion, he quickly quoted Shawshank Redemption and said, “well you can either get busy livin’, or get busy dyin’, so I think we should get busy livin’.” It was the most sincere and natural response for him and I couldn’t have agreed more. I needed to hear that. I needed to be reminded of that. I need to live more like that, and I think we all do. This is how John lives life—with an unrelenting positive outlook, and it’s one of the many reasons why he is one of my heroes. There’s no circumstance that dampens his perspective. When obstacles come his way, they don’t discourage him. He tries his best and sometimes he might need some help, and that’s okay. We all need help sometimes. But the most admirable thing about John in my opinion is his authenticity. it is so abundantly clear that he is a person full of passion who speaks about the things he loves in life. He doesn’t care what you think about him, or how he might be perceived in social settings. Instead he acts in love. I think we all need to be a little more like John in this regard. I believe this is how many people with special needs live their lives. They live with an innate ability to see the good and beauty in the world, to radiate joy and happiness, and to offer a unique perspective on life with the ability to change others’ perceptions. Becoming friends with John has had a profound impact on me, and I couldn’t be more grateful for the blessing he is in my life. There have been a few times in my life when I have felt the lines between Heaven and Earth become blurred, and felt a joy that surpasses understanding. They’re rare, but I believe they are a glimpse of what’s to come. When I’m with John, these times happen more often. To any parent out there who is having a child with special needs or recently had a child with special needs, I just want to say that I can’t imagine the feelings that come with the diagnosis. I can’t imagine the fear of the unknown, or what it feels like to have the foundation shaken for the dreams you have for your child. I don’t know these feelings and I may never know them. What I do know is that your child will have dreams and aspirations just like every other kid, they will see the world differently than most, and that is a beautiful thing. They will not only be a blessing in your life, but in the lives of others. I know because John has been a blessing in mine. So proud of Christian & John. Their relationship is a lesson for us all. Get busy liv’in! Love you all! I have known Christians Mom, Janie, as I only call her, since I was in my teens, over 50 years ago, infact she was my flower girl, and I know Christian takes after her. As Janie is one of the most kind and loving person I know. Much Aloha to you all. I agree! I have been lucky to have gotten to know several people with Downs and they are always passionate and although people with Downs often suffer from Depression, they usually always are good about bringing a smile to just about everyone else! Great message for all to hear!